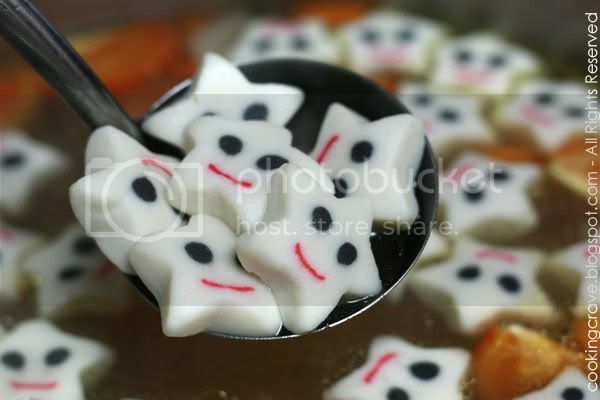 I would like to thank my friend Ai Li giving me a packet of this super cute "Star Fish Cake" and I add them into the ABC Soup. I found that it is just too cute to be eaten... my kids they love it so much. Thank you, Ai Li !!! For the recipe of the ABC Soup you can refer HERE. I just add fish cake and let the soup boil for a while. This time I cut all the carrots into heart shape using the love shape cookie cutter and I omit the sweet corn. I think we shall sing this "Twinkle,.. twinkle,.. little stars" song before we drink the soup.. hahaha!! 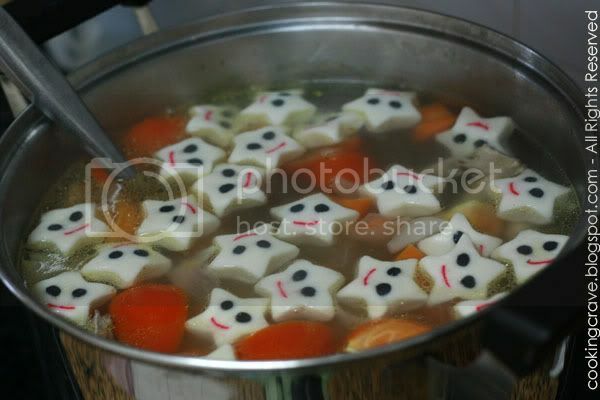 A pot full of STARS soup.. 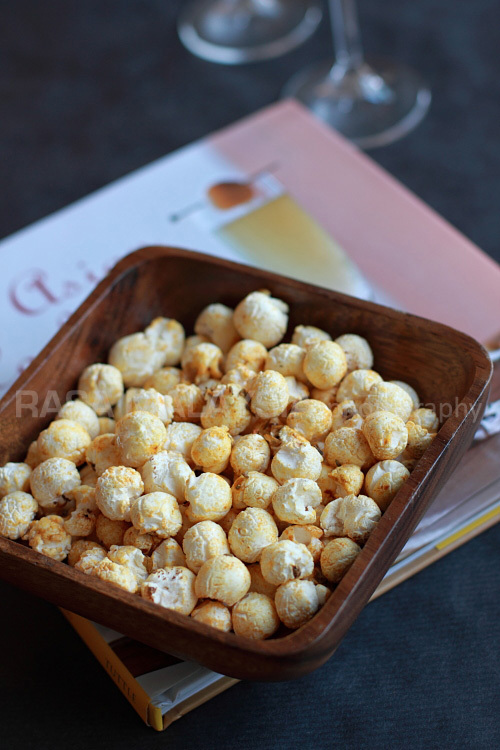 yumm~yummm!!! WOW! 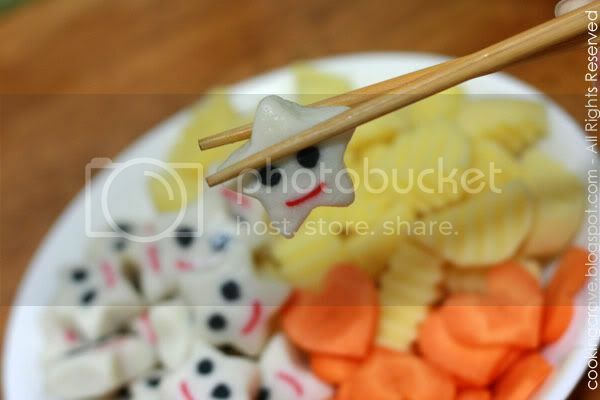 Those star fish cake are so lovely, next time maybe can add into bento set...so cute! wow so cute! Wish I can find it here. You are based in M'sia right? I want those stars! Please tell me where to buy them!!! I want those stars!its very cute. Please tell me where to buy them!! !